Here’s Part 3 of my column First Class published 21 August 2016, Sunday, in the Philippine Daily Inquirer + more pics I wrote about a recent day trip to Pampanga. Went with a few doctors of my dad, whom we met when they were just residents and now they have finished their fellowships! 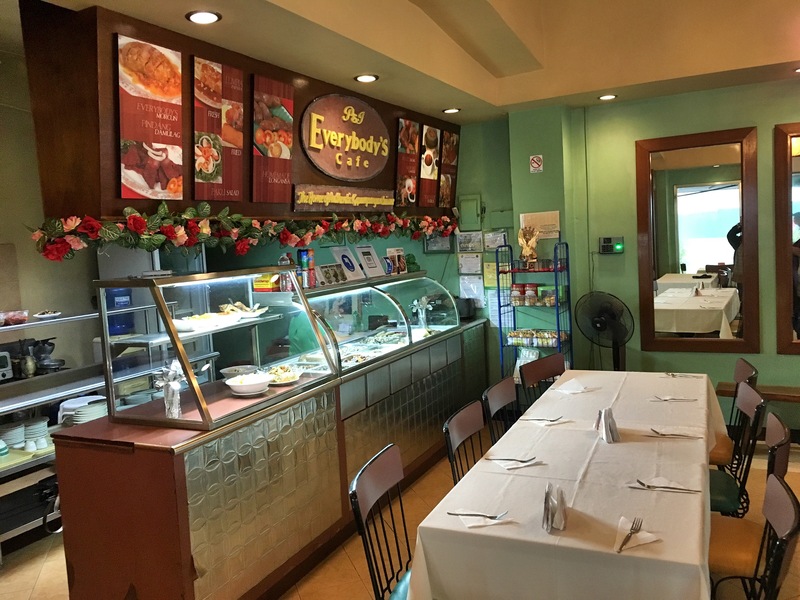 Everybody’s Cafe Angeles is the little sister of Everybody’s Cafe San Fernando. 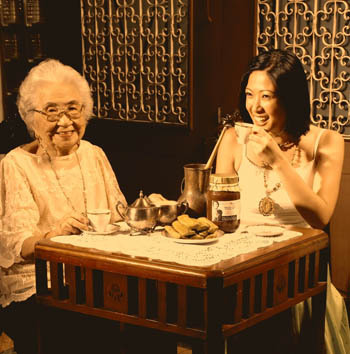 But for those who want a taste of classic Capampangan cuisine, this is THE restaurant. Food is served cafeteria or “turo-turo” (turo means ‘point’) style but the menu is exactly what would likely be served in a true Capampangan home. Be brave and try the Betute—stuffed frogs legs. So beautifully savory you will forget you are eating frog. 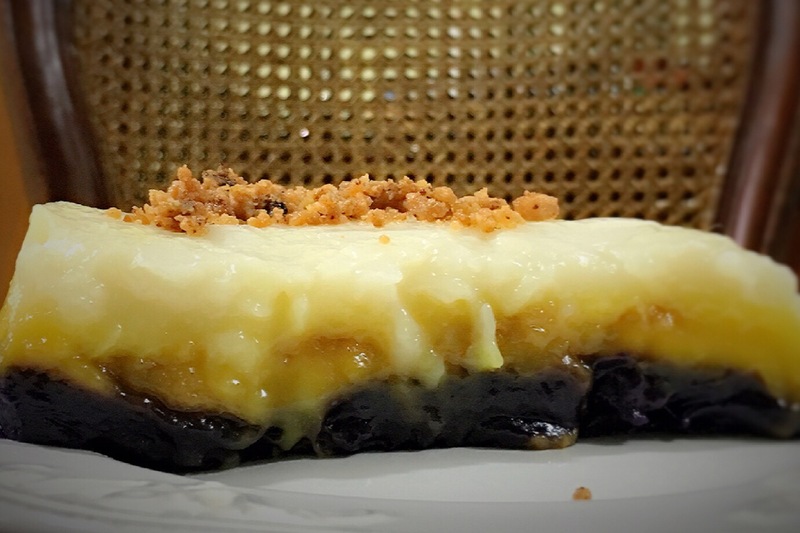 The morcon is another must-try, another fine example of how Capampangans are masters in the umami of the ulam. Before heading home, make a pit stop at Susie’s. This is another cafeteria-like place perfect for merienda. If you have time, sit down and have the pancit. Otherwise, take home a bottle of Susie’s Taba ng Talangka (ask for the female crab fat) but make sure to eat in moderation. Also try or take home their mochi-mochi and sapin-sapin. 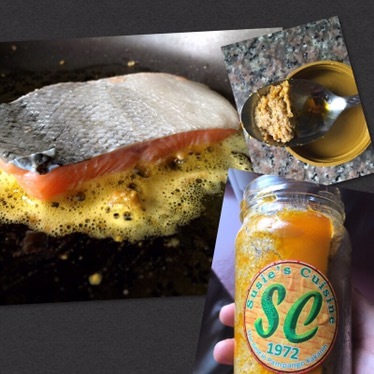 The following day I wanted to eat healthy so instead of cooking the female crab fat with rice I cooked New Zealand Akaroa salmon in it. Good – but still better with rice! hah! In between restaurants, say a quick prayer at the Holy Rosary Parish Church. 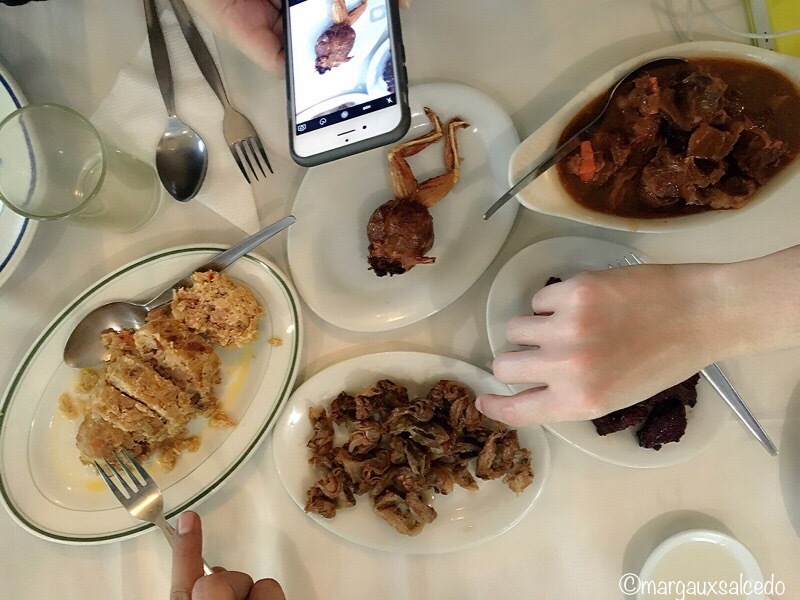 Thank the Lord for the blessings of such delicious food just 2½ hours away from Manila and pray that you don’t gain too much weight after all that bingeing! 1956 Downtown Cafe by Bale Dutung. 1 Plaridel St., Nepo Quad, Angeles City. 0917-5359198. More info at baledutung.com. Everybody’s Cafe. Nepo Mart, Angeles City. Everybody’s has a stall at the Salcedo Market in Salcedo Village every Saturday from 7 a.m. to 2 p.m.